Usually, I post my participation in Top Ten Tuesday, an original feature/weekly meme created by The Broke and The Bookish. However, for October, I’m going rogue and my weekly post will discuss Halloweenish/Fall and related pop cultural topics. I breathe horror movies. Along with musicals and documentaries, horror counts as my top three favorite film genres. While I prefer classic and modern classic movies, I’m pretty fair to those films born out of my generation, unless it’s gore for gore sake. Then, the movie gets a no-go from me. Today’s post includes my top ten must-see Halloween films. In other words, Halloween isn’t the same unless I see these films sometime this month. To make the list, the movie must still carry bite after its premiere. If it’s lost its creep factor, it’s not listed (e.g. “Scream”, “Psycho”). Also, I excluded “It’s the Great Pumpkin, Charlie Brown” since it’s a t.v. special. It’s exclusion does not mean I hate it since I watch it every year still, with or without my children around. Shiver with anticipation while grabbing your finest garters and fishnets to do the Time Warp, My Friends. Dr. Frank-N-Furter awaits. Burnt men wears red and green sweater with finger-knives on his hands, terrorizing teens as they sleep. Yeah. That’s scary. You can avoid camps, the woods, and creepy schools, but sleep? Nah. You need that to live. Freddy Krueger begs to make your acquaintance in your nightmares. Okay, technically I’m not a big Jason fan. However, this film along with its sequel and seventh installment sticks to me like glue. I think it’s a reason why I never camped as a kid, er, as an adult too. Along with a feasible creep factor and a final girl worthy of your rooting for, Friday the 13th gives you ask, especially it’s famous ending. This movie, filled with vignettes, finds itself criminally underrated. Thankfully, it’s a cult classic. Viewers journey with Sam (hein) as he ushers them through stories about Halloween and its revelers, following or rebelling against the night’s rules. Consequences abound. Yes, Sam looks cute in his little pumpkin suit. But, looks deceive, my friends. Classic 80s vampire flick about a teen and his captivating neighbor, holding a toothy secret. Is he believed, and how far will he go to make others believe him? This film’s easily on my top three vampire movie list (The Lost Boys and Interview with the Vampire rounds out the list). There’s nothing scarier than what we carry in our minds. Check out this psychological thriller fast. Technically, kid-friendly, this movie deserves recognition. Pretty much, it’s a kid’s version of Frankenstein. Instead of a human, we get a dog. It’s not gory or outright scary, but it’s fun, mildly creepy, and a film all ages can truly enjoy. In this computer-animated film, DJ and his friends notice items (e.g. toys) tend to go missing whenever someone’s near the Nebbercrackers’ house. However, when people disappear, more than wonderment befalls them. They must investigate why things go awry next to the creepy house across the street. I like this movie because it’s not only animated strongly, but the plot and hidden themes work good together. Viewers feel as though they’re part of the story, not talked down. Fun for all ages. Not your average werewolf movie. Two sisters worship all things gore and creepy. They’re not your stereotypical females. What happens in the movie tests one sister’s loyalty as she watches her sister surrender to the night. Off-putting at first, this story grew on me with his enthralling take on werewolf mythology and feminine power. Plus, this package scares genuinely. If you want an intriguing ghost story wrapped in a mysterious tale of murder and secrets, give this story a chance to haunt you. I watched this movie as a kid in the 80s (Talk about being placed in the right generation for horror movies!) and, until this day, this story chills me. Highly worth your time. Like I said before, if I don’t watch these films, Halloween’s not the same. What do you like to watch this month? Do you not watch scary movies? Why not? Feel free to share in the comments. I love horror too – great choices! 🙂 I was surprised by how much I liked The Babadook! I saw it on a fluke as I flipped channels one night. I heard the title before, but assumed it was a gorefest and ignored it during its theater run. Boy, was I wrong. The movie offered so much complexity. Well worth a viewing. I love this time of year! I wish AMC still did the month long horrorfest instead of the shortened version they do now. Don’t even get me started on the shortened Fear Fest this year. I’m so mad about it because I look forward to those two weeks. If you have SyFy, they’re doing a good job of offering a 31 Days of Halloween movie month. So far, so good. It’s good. I can’t watch The Exorcist, unless it’s daytime and the lights are on (Same with The Strangers). Halloween’s a classic. I wish channels didn’t wait until the 31st to play it. 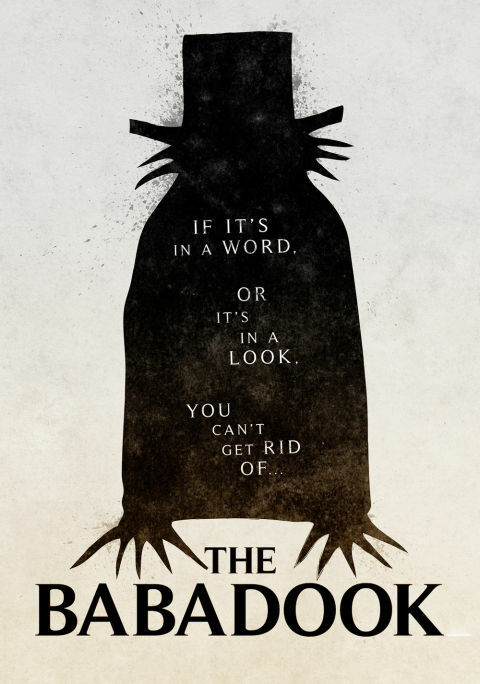 The Babadook’s wonderful. I hope people get to watch. It’s deeper than one would believe. Ashley, I love your response. Thank you!